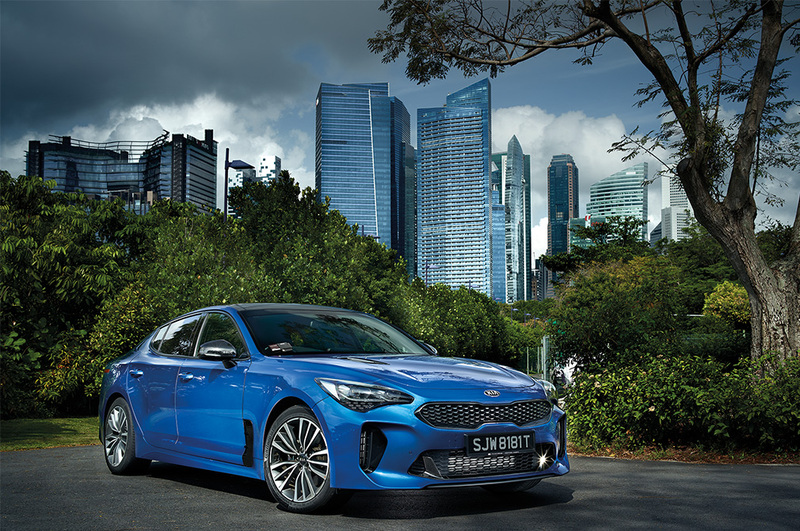 Features	| 13 February 2019 | This award-winning Korean fastback has defied odds and expectations with its ability to deliver practicality, performance and panache. 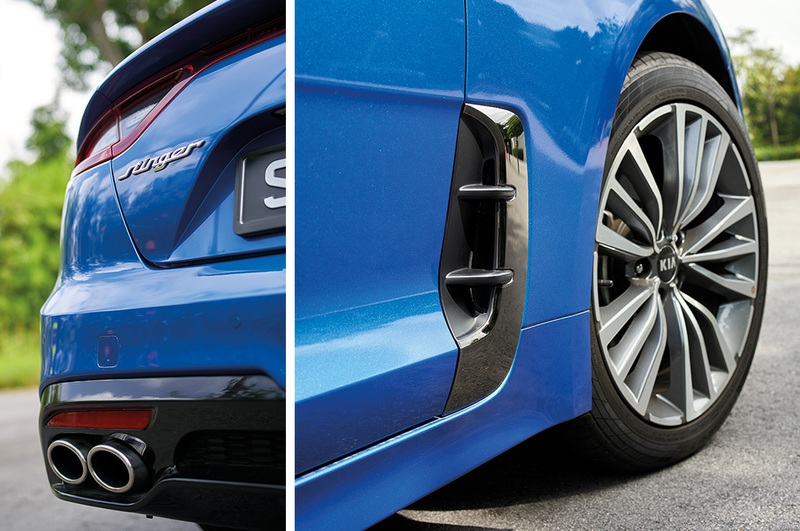 The Stinger feels like a brand-defining exercise rather than a revenue-generating one. Turbocharged 2-litre engine in the Stinger GT-Line pumps out 244hp (247ps) and 353Nm, and puts a big smile on the driver’s face. Up the pace and the Stinger rotates about its centre, pivoting its corners in unison. The Stinger is simply, without qualification, excellent. PERCEPTION is a funny, sticky thing. Nobody will argue with you when you say that the Kia Optima is one heck of a taxi, or that the Rio is a quality little runabout for remarkable little money. But a sporty rear-wheel-drive fastback from the same Korean carmaker to be spoken about in the same breath as a BMW? No way. Well, what better way to entrench your brand’s credibility as an engineering force in the luxury arena than by picking a fight with the BMW 3 Series? After all, the junior executive model is notoriously difficult to get right. Fail, and the view that Korean automakers can do value but not luxury will harden and persist. But if you succeed at muscling your way into that exclusive little clique, in which the 3 Series, Mercedes C-Class and Audi A4 have been chattering merrily amongst themselves while casting snooty looks at outsiders, and your brand will be elevated to a whole new plane. 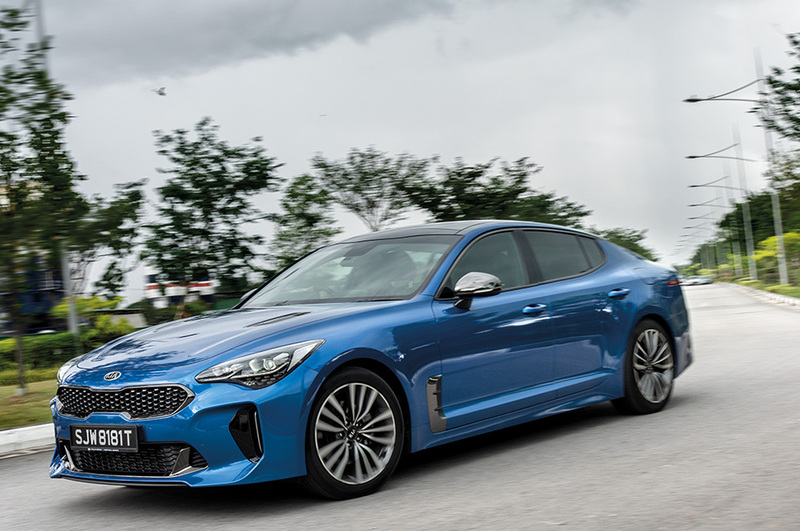 One feels, therefore, that the Kia Stinger is actually a brand-defining exercise rather than a revenue-generating one. Kia went out and poached a head designer from Audi and a head engineer from one of the most pedigreed divisions in all of autodom: BMW M.
So, you’d better believe the carmaker when it says that it is out to build the very best car it could. Most importantly, above and beyond mere sales, to prove it can build a car for critical acclaim. So, here we are. Let’s put all that philosophising aside and evaluate the car as it is. Luxuriate in it and drink in its exquisite driving manner. I’ll cut to the chase: Kia has done it. The Stinger is a brilliant car. Not brilliant “for a Kia”, not brilliant “for a first try”. 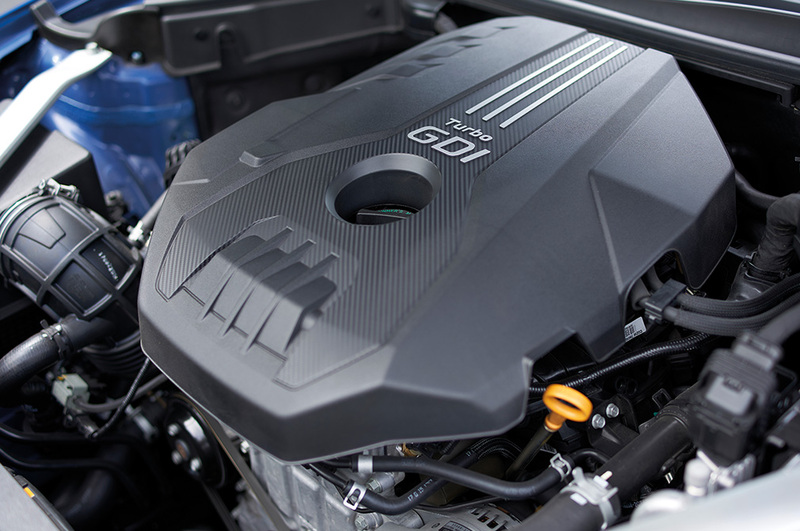 The Kia Stinger is simply, without qualification, excellent. Let there be no doubt, this car is as good as the ones it is aimed squarely at. It begs to be driven in order for its entire sumptuous nuance to be truly appreciated. I picked up the car late one evening, emotionally and physically spent from a hard day’s work. I intended to do most of the serious driving and discerning evaluation the next day. 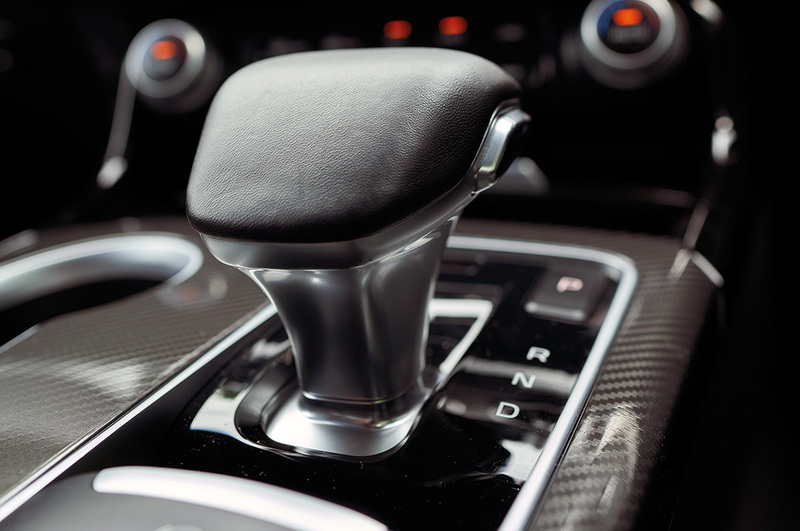 Yet I arrived home with the pleasing realisation that I had placed every wheel where I had intended to, and been pushed back by the car and its control surfaces to the exact meaty degree my brain had desired. All that while just puttering about on the way home at a moderate pace. It made me salivate for when I would actually get to tease the edges of its dynamic envelope. Seating position, control weights, sightlines… all spot on. I went past my house and kept on driving. It is a big car, actually. Bigger than its German friends. But it wears its size excellently, giving you the sensation that each corner of the car can be delicately balanced and managed as you please. It’s a different approach from that of something like a Mercedes-AMG C43, which in a no less impressive manner, seems to congeal all its mass into a single bombastic point next to your hip. And the Stinger blows the E-Class or bigger limousines, even those with sporting pretensions, away in tactility and interactivity. Kia has some advantages when it came to crafting its first barrage at the German “battleships”. Namely, the absence of baggage. The brand does not, for instance, have to bother with a wheezy 318i equivalent, nor take into account the focus-group mutterings of aunties haggling over the lowest priced model variant purely to have the privilege of the badge. This, of course, has delicious results for the interested driver. Put the car’s gait through a finer comb of analysis and the good vibes keep coming. The tyres meet scarred tarmac with just the right amount of resistance to inspire confidence yet chamfer off any discomfort, keeping the body honest without deflecting it inelegantly. Up the pace and the Stinger rotates about its centre, pivoting its corners in unison. When a car does that it instantly evokes enormous amounts of goodwill. You enjoy it in a way that cannot be achieved by specification or computer simulation alone. Just like how the precise springiness of the best noodles have been fussed over by maestros. Outright pace in either engine variant is more than satisfactory, and in the 365hp Stinger GT variant, the pace is predictably eye-widening. The Stinger prices (Kia has been clever about this) are temptingly and relatively small, making them effectively no-brainers for those who are shopping in that category and can look beyond the badge. Nobody will ever need convincing about the financial prudence of buying a Kia. 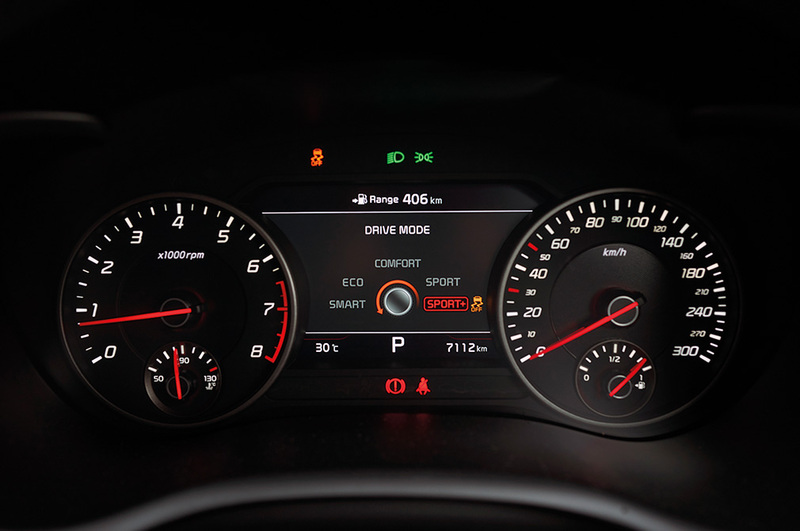 More than just a throw-specs-at-the-wall-and-hope-it-sticks-effort, the Stinger’s powertrains, especially the turbocharged 3.3-litre V6, saunter muscularly up and down the tachometer with as much authority and character as you desire. Regard the car sitting in the showroom, and you can make your mind up about the looks. 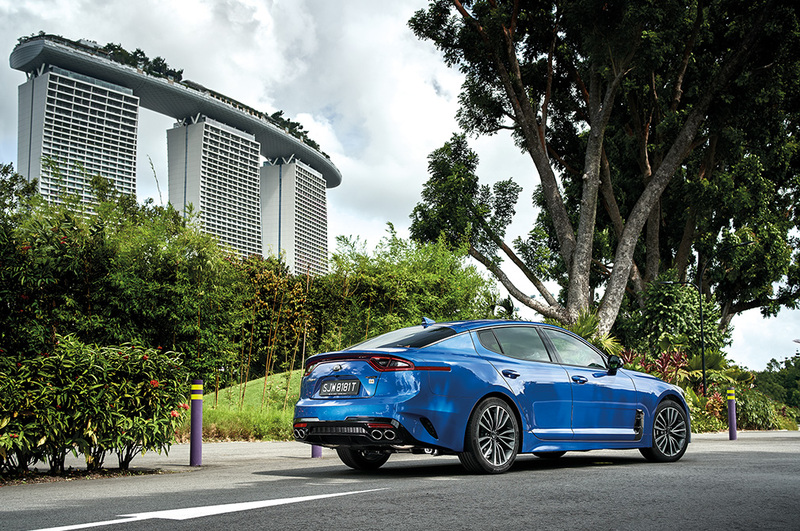 The detailing and proportions are executed at least in a way that are convincing both to the car’s premium aspirations and its aggressive, thrusting intent. Nevertheless, the Stinger is a car that goads you to spec it in a loud and bright colour, which could result in a love it or loathe it affair. As a statement, I think it is well judged. 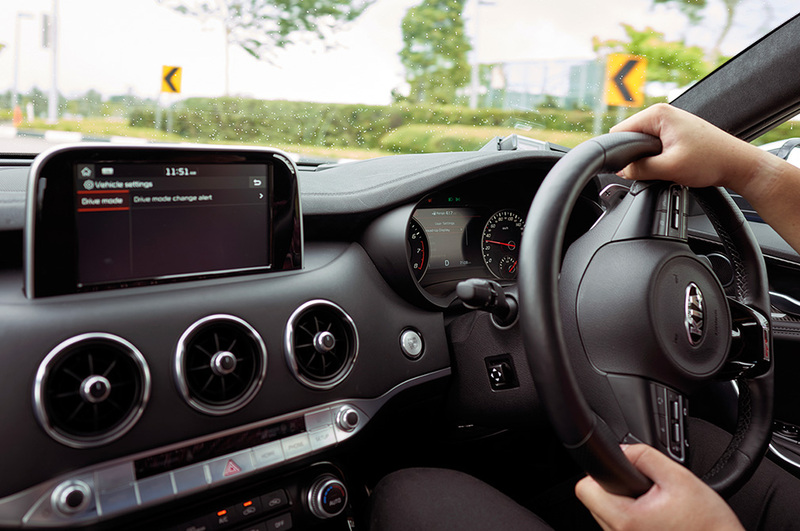 The insides, too, make a reasonable fist of a luxury-grade ambience without setting any new standards, particularly against the sheer chicness of an A4 or the plushness of a C-Class. You will have to dig deep to find genuine fault here as well. Forget climbing the ladder. With its first salvo, Kia has exploded into the Bundesliga and began bloodying noses. This car deserves to be priced much higher. And if the Stinger was meant to properly establish Kia as a luxury player, then the next such model most definitely will be. So, get yours while you still can.